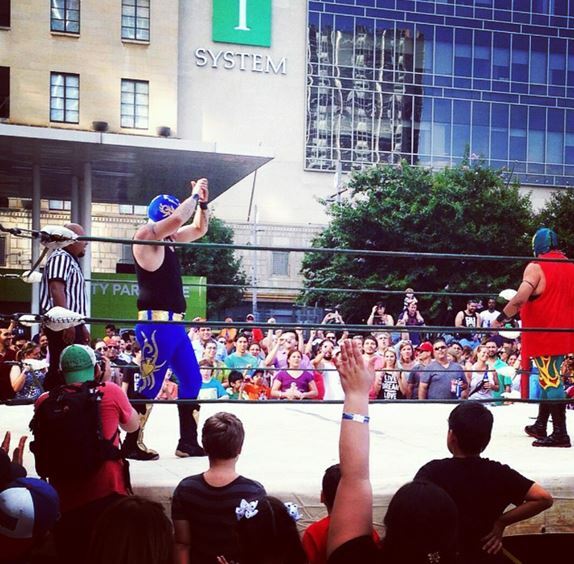 What do you get when you combine music, tacos, lucha libre, and thousands of people standing around in the Dallas heat? You get the Taco Libre festival! 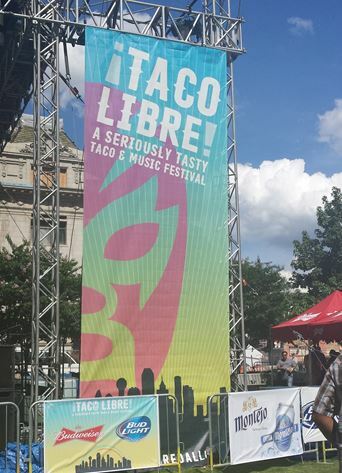 I went downtown this past weekend and attended the first annual Taco Libre and it was… fine. Yeah, it was just fine. Honestly, meh, I could have stayed home and probably had just as good of a time, which I know sounds super lame, but it’s the truth. I guess I’m glad that I went because it was definitely something to experience. I mean, live Mexican wrestling… how often do you get a chance to see that?!? I bought my ticket ahead of time (I’m so glad I did because it was DOUBLE the price to buy a ticket at the event!) and had to wait about 30 minutes to get in. Let me rephrase that- I had to wait 30 minutes while standing in the sun with no shade and no breeze. It. Was. So. Hot. Outside. I’m so glad that I wore shorts and real talk- I still got SO SWEATY. It was gross. 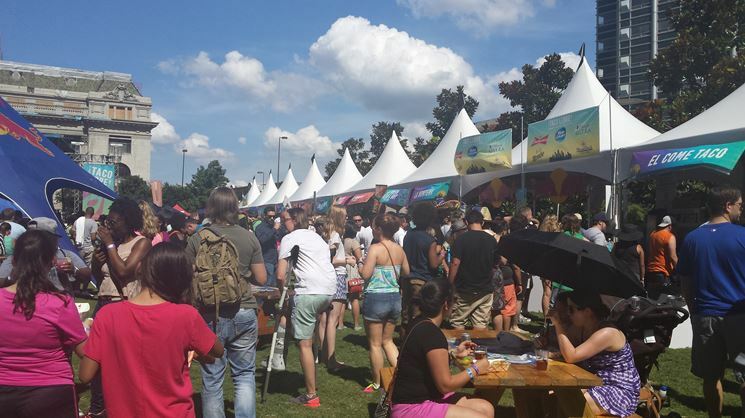 It was so crowded and there were so many stands to get street tacos! Delicious! Ah I didn’t know about this! It’s sounds interesting. Luckily, it seems this weekend won’t be as hot around here. Have a happy July 4th.